Lucille M. Woodford, 91 of Energy, passed away 12:20 p.m. Saturday, April 28, 2018 at the residence of her niece in Energy. Lucille formerly worked for Allen Industries and retired from Smoler Brothers Dress Factory in Herrin. 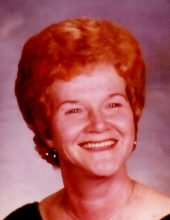 Lucille was born October 22, 1926 in Carterville, IL to Alton J. and Lenora (Gilkey) Davis. Lucille enjoyed going to yard sales, playing Canasta at the Marion Senior Citizens, avid St. Louis Cardinal Baseball fan and she loved to travel throughout the United States. Lucille was united in marriage with William Drury Woodford, he passed away on November 30, 1986. She later met a wonderful man, James F. Henshaw and they were partners for 23 years until he passed away April 13, 2013. Also preceding her in death were parents, sister, Cordia B. Davis, brother, Walter Davis, a wonderful niece, Karen Sue Clark, nephew, George Edward “Eddie” Jacobs and a brother-in-law, Robert L. Cobb. The family of Lucille Woodford wish to extend their sincere thanks to Hospice of Southern Illinois for the excellent care and concern provided to her and her family. Services will be 1:00 p.m. Wednesday, May 2, 2018 at Meredith-Waddell Funeral Home in Herrin with Rev. Jason McKinnies officiating. Visitation will be from 11:00 a.m. until 1:00 p.m. Wednesday at the funeral home. Burial will be in Herrin City Cemetery in Herrin. Memorial donations are the preferred form of remembrance and may be made to Hospice of Southern Illinois, 204 Halfway Road, Marion, IL 62959; envelopes will be available at the funeral home. To send flowers or a remembrance gift to the family of Lucille M. Woodford, please visit our Tribute Store. "Email Address" would like to share the life celebration of Lucille M. Woodford. Click on the "link" to go to share a favorite memory or leave a condolence message for the family.